Mathew was born on September 10, 1993 in Tanvaari, Ghana to Kuubori and Amyeina Akua. His father passed away when he was six years old through a motor accident, and his mother passed away in 2002. Mathew's grandfather took him to Kokoyiri, where he currently resides. He is being raised by his extended family. Kokoyiri does not have a school, so Mathew started walking 45 minutes each way every day to school in a neighboring village. Though he was focused and diligent in his studies, he struggled to read. He also lacked the resources to help him with his schoolwork. Richard met him and recognized his brilliance despite his visual impairment. He saw Mathew laying his head on his desk to try to read the material. Richard took him to a doctor to see if anything could be done to improve his eyesight. Unfortunately, it was too late to correct his vision. The doctor recommended Mathew continue his studies at Wa School for the Blind. Because Mathew is an orphan and his extended family members are peasant farmers with little support to offer, Richard began sponsoring Mathew. With his determination, Mathew was able to learn Braille very quickly and soon became one of the best students at the school. In Ghana, students are required to pass the BECE, or Basic Education Certificate Exam, to gain admission into Senior High School. Matthew and another student scored the top marks in their entire school. Mathew gained admission to Wenchi Methodist Senior High School, where he is studying social science. He is the first student in his village to have attended senior high school, even despite his visual impairment. Mathew aspires to be a teacher so that he can help others in his community. Here is a video of Mathew telling us a little bit of his story. 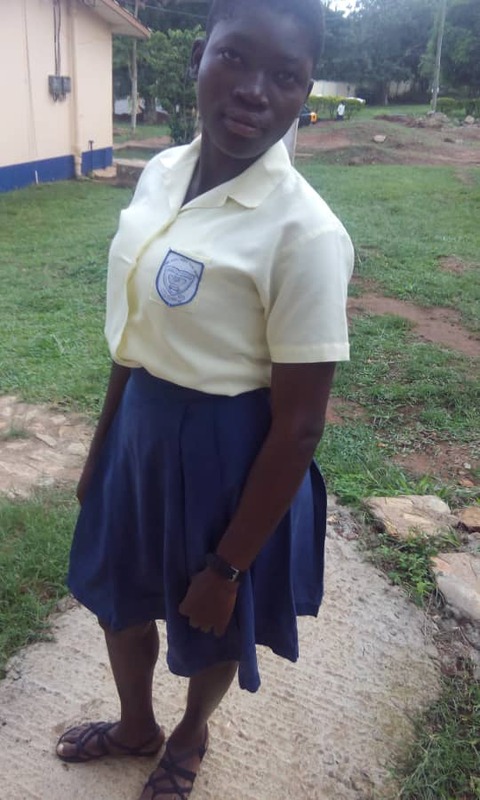 Hawa is in JHS 1 at Savelugu School for the Deaf in the Northern Region of Ghana. She was born on March 6, 1994. She is from Tatale, a town near the border with Togo. She has two brothers and two sisters. Her father was a farmer until he went blind two years ago. She is only able to communicate with her father through translations by her mother. Hawa's father and mother are both unemployed. We hope to help Hawa to complete her education so she can improve her own career prospects. Her dream is to become a banker. Meet Hawa in this video. Muzaifa is also in JHS 1 at Savelugu School for the Deaf. She was born on October 10, 1999. Her village is Zinindo, which is northeast of the regional capital Tamale. Muzaifa's family migrated to Ghana from Burkina Faso. Her family is Fulani, which is a tribe of people who have migrated to Ghana. They are often nomads and are known for herding cattle. Fulanis are often not well-accepted in local communities and may face discrimination. Muzaifa's father is a farmer. Muzaifa does not know her mother. She has four brothers and two sisters. She is the only one attending school, and she is very determined to succeed. She is grateful for this scholarship for the support it will provide her to complete her education. She wishes to be a nurse. Meet Muzaifa in this video. Zakaria was born on July 1, 2004. He is the eldest son in a family of four. After growing up in Wuba, in the Kumbungu District of Northern Ghana, he lost his hearing at the age of nine because of an illness. For three years, he worked hard to finish P6 in the local primary school, relying on reading lips and the help of friends and patient teachers. In 2016, he started school at the Savelugu School for the Deaf, going back to KG1 to learn sign language from the beginning. With the help of Sung-Taaba, he hopes to advance quickly. We were made aware of Zakaria's potential and need through Danielle, a Peace Corps Volunteer in his community, and Sumani Bapio Ibrahim, the President of Northern Region Deaf Association. Despite Zakaria's hearing loss, he continued to attend school in an effort to complete his education. His father is a subsistence farmer, so his family was unable to afford the schooling that Zakaria needs.